Anatomically designed for maximum comfort, boasting a high absorption and quick dry fibres. Flexible leakage barriers and odour protection contain leakages, with wetness indicator. 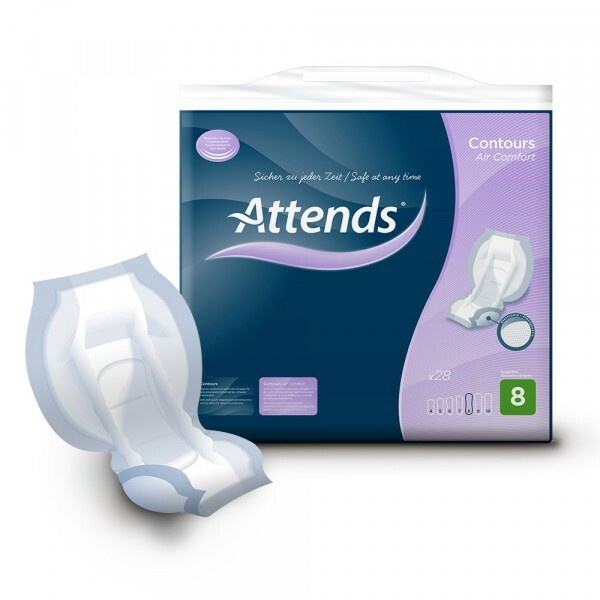 The Attends Contour Air Comfort are discreet urinary incontinence pads to provide a solution to an embarrassing problem. Rather than wearing Attends underpants, these are designed to attach to regular underwear, lessening the embarrassment of the patient. This is a larger shaped pad suitable for urinary or faecal incontinence. They’ve been anatomically designed to fit better, provide better leakage control, and provide for maximum comfort. There is also odour protection, which is often a concern for people who suffer from incontinence. The pads are designed for short-term or long-term solutions for patients confined to bed rest, undergoing surgery, or suffering age-related or diseases that cause incontinence. These contour pads are made with high-absorption fibres so they are effective for most levels of bladder leakage and minor faecal incontinence. The top layer features quick dry fibres so that comfort is maintained until they can be discreetly changed. There is a breathable textile backing so comfort and personal health are still retained to prevent skin infections. 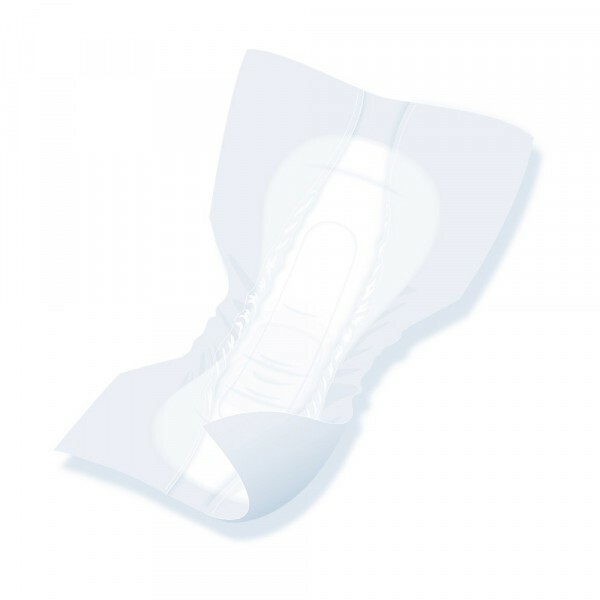 There are flexible leakage barriers so the pad moves with you, yet retains the fluids effectively. There is also a wetness indicator that can quickly be checked to see if it needs to be changed. The pads utilize core technology. The pad shows a pale blue wetness indicator panel. When the pad is filled up, the wetness indicator will disappear, indicating that the pad needs to be changed. The unique quick dry fibres also lessen the need to change the pad after every urinary release so the skin will be kept dry. The anatomical shape of the pad will fit snugly against the body, providing all the protection needed. 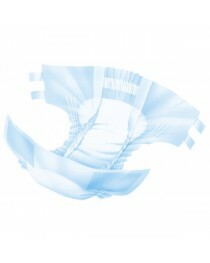 The Attends Contour Air Comfort are sold in packs of 28 to be cost-effective. They’re sold in a discreet blue and purple packaging that is encased in plastic, to keep them dry and secure until you need them. The Attends are sold in a white colour, with grey adhesive strip surrounding the pad. They have an absorbency value of 2499ml and measure 64.5cm / 25.3’' in length, with a rear width of 19cm / 7.4’’. They are on a comfort level of 8 in incontinence products. It’s recommended that they be worn with stretch pants. • Anatomically designed for maximum comfort. • Odour protection decreases embarrassment. • Wetness indicator that shows leaks.